Rod Weir has dedicated his career to helping homebuyers and business owners to secure a better finance deal. My entire working life has been dedicated to helping individuals, families and medium-sized to small business owners to save money through the provision of smarter finance solutions. I started my career in banking and finance at just 16 years-of-age as a clerk with National Australia Bank, and worked my way up to various senior management positions before establishing my own finance brokerage business in 2004. My extensive, proven track record in the financial services industry coupled with my own experience as a small business owner, affords me a critical understanding of the challenges and opportunities faced by borrowers, both personal and business, in today’s market. My 30+ years industry experience and reputation for professionalism mean I can often negotiate a better deal than those advertised – even with your own bank! I’ve worked with thousands of local clients over the years, and helped to secure in excess of $400 million in settled loans. When I see my clients realise their dream whether it be to buy a new home or investment property, establish or grow a business, secure funds for a renovation or even reduce their expenses with a smarter loan option or better interest rate, it is incredibly satisfying. 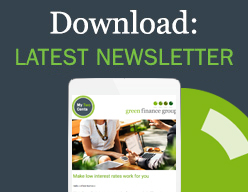 Green Finance Group’s reputation as one of the country’s leading finance brokers provides additional benefits in the form of fast-tracked application processing and access to discounts and conditions not always available to the general public. Whether you are a first homebuyer, upgrader, investor, renovator, self-employed borrower or business owner, single applicant, or even an overseas borrower, the fact is, not every bank will look at you the same way and that will impact both the amount of money you can borrow and how much it will cost you. I can show you your borrowing options from over 30 banks and secure lenders. You’ll know exactly how much you can borrow, your loan terms, associated costs and repayment options and be in a better position to move forward. I can meet you at your home, at your office or mine and am available for after hours appointments most days of the week.